Today I have a simple mani with a gorgeous, regal colour combination that I fell in love with and hope you will like also. 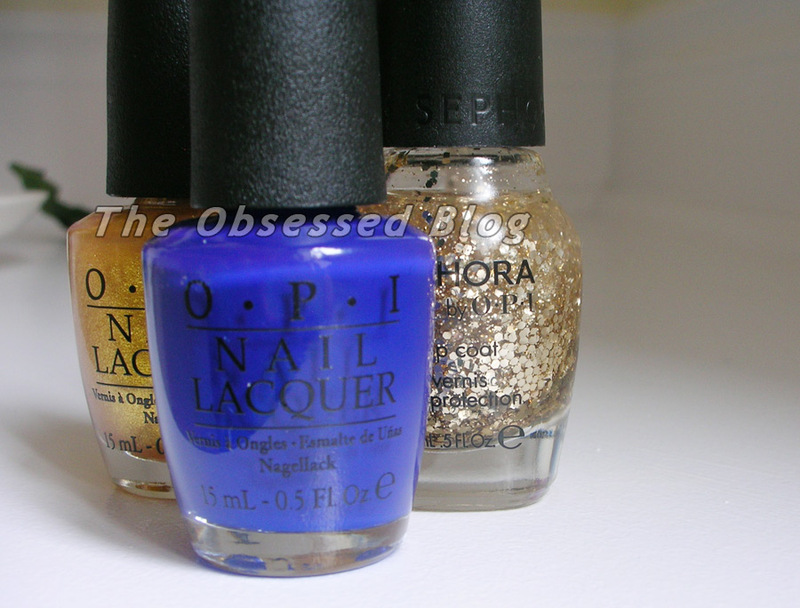 The polishes I combined were the stunning royal blue cream OPI… Eurso Euro and Oy – Another Polish Joke! from the hugely successful Euro Centrale collection, and Sephora by OPI Only Gold For Me, my go-to chunky gold glitter. I purchased Oy, a beautiful sheer shimmery gold when Euro Centrale launched, but never had the chance to wear it until now. How amazing does it look over Eurso Euro? ?